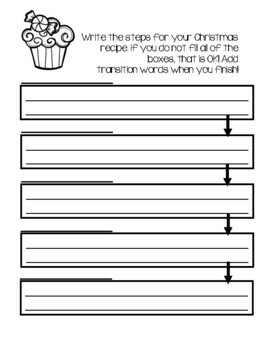 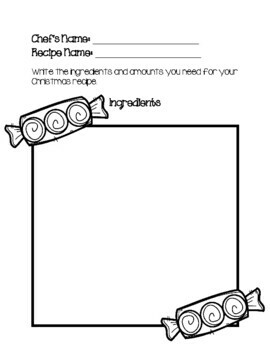 Use this Christmas-themed recipe writing activity to help kiddos brainstorm ingredients, write a flow map with transition words, and write a final copy! 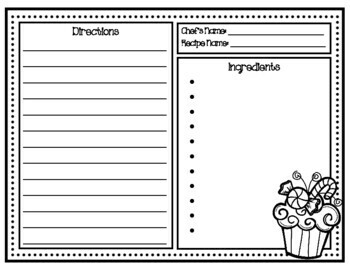 There are three final copy papers for students to choose their decorative piece for their published copy. 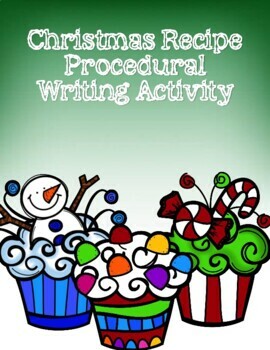 Use this alongside my Polar Express Hot Chocolate Recipe and questions for a procedural reading unit or solo!